The conference was a great success, and thank you to all who helped. You can read about what was planned here, and we have started work on a report back page here, which includes the presentations. You can also view our Declaration for a Nuclear Power Free Africa here. We are urgently looking for volunteers to help with various follow up activities after the conference. Please contact us on conference@koebergalert.org. 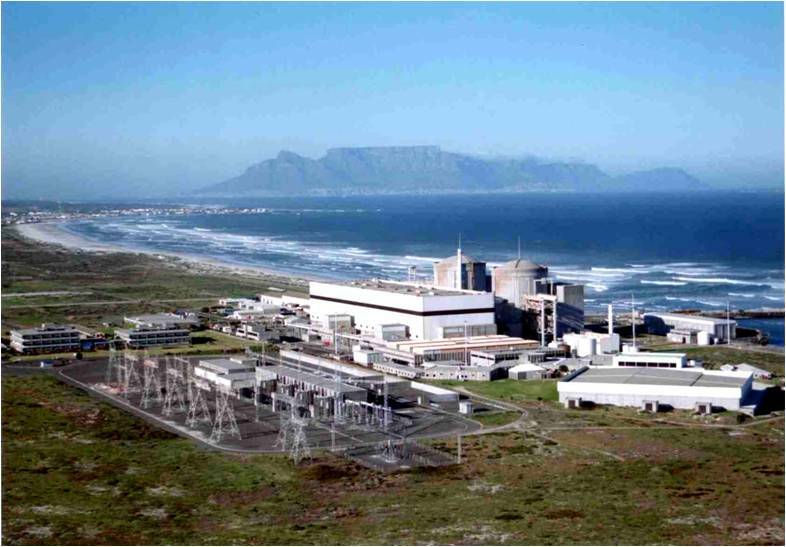 The South Africa government is planning to spend an estimated R1 trillion building 6 nuclear power reactors on the coast, and two of these are planned for Koeberg (28km North of Cape Town centre). R1 trillion (R1 000 billion) is a huge amount of money. Compare this to the initial estimated cost of the arms deal of just R29 billion (which eventually cost over R70 billion). Events at Fukushima in Japan have shown what the consequences of a nuclear accident can be. Over 1000km2 have been evacuated due to radioactive contamination, and residents there may never be able to return to their homes. Insurance policies do not cover this loss of property value. Home owners would be obliged to continue paying their mortgages, but their homes would be uninhabitable, and worthless. There is no need to take this risk: this money could be spent on renewables and energy efficiency. For example, a 100MW wind farm can be built for less than R2 billion, and could be fully online within three years. Renewable energy can create far more direct, long term jobs than nuclear energy. Nuclear high level waste is an unsolved problem. Already there are over 1000 tons of high level waste being kept at Koeberg (30 tons per year), because there is no plan to deal with it. The current ‘plan’ is to leave it for future generations to sort out. Is this ethically acceptable? We have huge resources of wind and sun, and therefore we do not need to take the risk of a nuclear disaster happening here! There is also no need to leave our children with a legacy of toxic radioactive waste. NO to a new nuclear power station being built at Koeberg! The govt is planning to spend R400bn on 6 nuclear power plants, not R1 trillion. The amount of R400bn is a huge amount of money. The amount of R1 trillion is absurd, and it would not even be financially possible. It was a quote from the Minister of Energy who is clearly out of her depth. Let’s say that R400bn is probably an underestimate.The KAA website needs to be seen as a reliable source of information if it is going to keep out of government’s sleep-walk. Is the R400 billion the overnight, or total cost? In other words, does it include the cost of borrowing R15 billion for 10 to 15 years, while the plant is being built? Thanks for all your good work in the trenches at the Japanese front of this war on terror. Nuclear is indeed terrible. I cannot see one single advantage of nuclear energy and all it does is to terrify the people. Peter I know that there are many greater minds than mine working on this, and we do need more action than words, but please may I add my bit. 2. It is imperative that research and development money is spent on sustainable technology = renewables to reduce our impact on this planet, and a good reason to stop this nuclear bill is because nuclear spending will limit the money available for renewable technologies. 3. I heard that there are now nuclear residential units available, sealed… I wonder what they do with the waste? This must be stopped before it goes too far. They probably recycle the waste into dirty bombs and sell their by-products. Nuclear is very profitable. And there is no-one saying you cant make profits, but there is also no-one saying you cant make profits responsibly… to our fellow man, to animals, the environment and to future generations, and in fact to our very survival on this planet. 4. Most people know that the reason to push any deal through is for the financial gain. The reason the SA govt wants to push the nuclear deal through now is because the sooner they do it the more likely it is to happen sentiment-wise, and while they are still in office and the more likely they are to score from the deal. We will find out who has gained from pushing the nuclear energy decision through at the expense of the country and its people and take them to task. 5. But my recent revelation that will make a big difference is that I have noticed that demand is dropping off. People will make a plan to get their power elsewhere when the price goes up as is has. Everyone is starting to become energy-conscious and wants to reduce their energy bill. I have been speaking to many these holidays to whom finding a viable alternative to their power expense is their most pressing issue. Hope this helps the decision-makers to see reason enough to act for their country and not selfishly. every tepco oiifcfal should be dissolved in acid feet first SLOWLY ! burning would be too good for THEM ! Many TEPCO employees worked around the clock to make the best of a bad situation. Lets acknowledge their efforts! Of course we need power, no-one has denied that. Since renewable energy is the way forward, lets make it work! Sinking hundreds of billion rand into a nuclear industry is not going to help us go forward with that.